Welcome Rebekah Howard to NCSBA! This month we welcomed Rebekah Howard to NCSBA as our new Governmental Relations Research Specialist. Rebekah grew up in Garner, NC and is a recent NCSU graduate where she majored in political science with a concentration in law and justice. Rebekah joins us after completing a research internship at the John Locke Foundation where her responsibilities ranged from assisting in research publications to analyzing and discussing general statutes and possible legislation reform. The real work of the 2019 session gets underway when members return to the Capital City next Wednesday, January 30, at noon. Most members are moved into their new offices. The NCSBA Government Relations team is geared up and ready to go. The NCSBA Legislative Public Policy Conference is scheduled for April 30/May 1 in Raleigh at the NCSBA building. The agenda is still under development, but it will include a legislative panel consisting of legislators that chair an education committee. Since the General Assembly is in session, it will give you an opportunity to see them in action and visit with your legislative delegation. Thank you to the twenty-eight school boards and nine county commissions that have shared with NCSBA their adopted resolutions in support of school calendar flexibility (Burke and Camden approved a joint resolution). For boards in need of assistance, this packet provides sample resolutions and draft bills that can be used in discussions with your legislators. 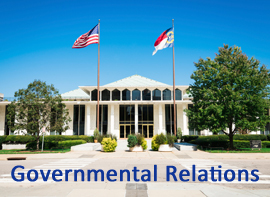 Please email a copy of your board’s calendar flexibility resolution to rbostic@ncsba.org.